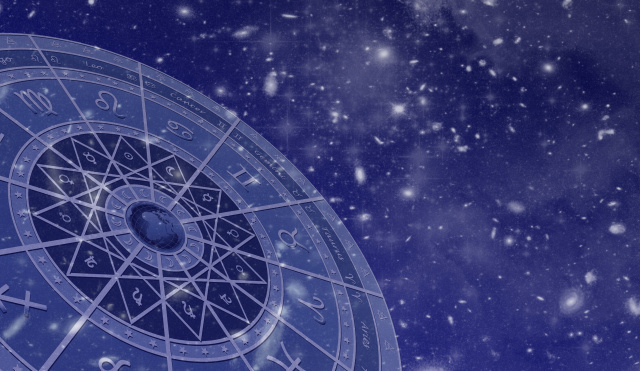 Originally horoscope referred to the astrological chart itself, but is now popularly used to refer to the description of how current planetary positions are affecting you personally, as in "your monthly horoscope." The Sabian Symbols were channeled in 1925 by Astrologer Marc Edmond Jones and psychic Elsie Wheeler in a park in San Diego. There are 360 symbols. These have subsequently been analyzed and studied extensively, see for example Dane Rudhyar's An Astrological Mandala, or Lynda Hill's The Sabian Symbols As An Oracle and have proven to be effective symbols for the particular degree of the (Western) Zodiac occupied by natal or transiting planets, such as the Sun degree of one's own chart, an indicator of character. Many use the Sun degree and the Moon degree of a chart but avoid the Rising degree as this could be one of several. Indicates the Cusp of the First House. The Ascendant, or Rising Sign, is the mask shown to others, the way we present ourselves. This sign, along with the sign of the Sun and the sign of the Moon, is an important component of your personality. The sign on the Ascendant often describes one's physical appearance. The Ascendant represents your persona, or how you appear to others, how others sense you, in your true interaction with the world. In esoteric tradition, the Ascendant represents your true or soul-level personality. The Midheaven or MC (Medium Coeli) is the point in the sky directly overhead relative to the position on Earth. In the chart, the Midheaven is represented by the vertical line at the top of the chart between the Ninth and Tenth Houses. The midheaven usually, but not always, indicates the tenth house cusp. Symbolically, the Midheaven represents your individuality, the outward expression of your energies. It can also be referred to as ego identity, and has a strong connection with public life and career, as symbolized by the tenth house. The Midheaven also represents your aspirations and ideals. Together with the ascendant, it represents personality in interaction with the world. Natal planets in conjunction with the Midheaven are considered "elevated" and are emphasized in the chart. The First House symbolizes the acting self, the personality as it appears to others, and the unfolding of one's individual destiny. Its beginning point is the Rising sign/degree, one of the most significant points in the birthchart. Planets in the First House affect your personality strongly. Their characteristics are a keynote of your personality as you express yourself to others. An astrological technique in which the midpoints of two individuals' planetary positions are used to create a third chart, the composite chart, which is then interpreted as the chart of the relationship itself as an independent entity.